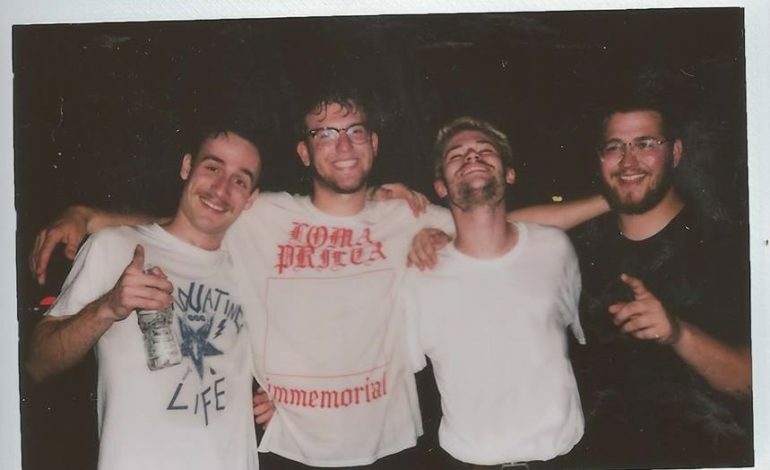 The California emo/punk quartet Mom Jeans. comes to Brooklyn this fall, bringing along their endearing “sad punk” tunes on the tails of their sophomore album, Puppy Love. The newest album, which dropped on July 3rd, features the single “season 9 ep 2-3” as well as tracks like “I left my towel at my friend’s house and then they moved PT 1” followed by “PT 2.” The lyrics paint a visual tangle of often anguished thoughts and feelings, masked by a relaxed sound that’s easy to bob along and move to. Mom Jeans. delivers a promising future of emo music, employing confessional lyrics with a stream-of-conscious style that the band calls, “self-aware but not self-indulgent.” The band brings a refreshing sound, creating a cathartic blend of emotional lyrics complemented by engaging music. Mom Jeans. released their first album, Best Buds, through independent label Counter Intuitive Records. Since their first full length album, they’ve released a split EP with the bands Prince Daddy & The Hyena and Pictures of Vernon, titled NOW That’s What I Call Music Vol. 420. Despite signing with SideOneDummy Records in late 2017, the band has since split from the label, releasing Puppy Love with Counter Intuitive Records again. Puppy Love is as addictive listening as Best Buds, making it easy to imagine the album lending itself seamlessly to Mom Jeans.’s live performances. Mom Jeans. visits Music Hall of Williamsburg this fall with supporting acts Just Friends, awakebutstillinbed, and Retirement Party.